The ATA announced last month that the company will have a new VP and CLA. The American Trucking Associations welcomed Christopher Spear as the association’s newest vice president and chief of legislative affairs. Prior to joining ATA, Spear was vice president of emerging markets and government relations for Honeywell, but in his career he was Assistant Labor Secretary during the Bush administration and a professional staffer in the U.S. Senate. As part of ATA’s advocacy team, Spear will report to Dave Osiecki, executive vice president of national advocacy. As chief of legislative affairs, Spear will be responsible for advancing ATA’s policy priorities in Congress including infrastructure funding, hours-of-service and safety issues. 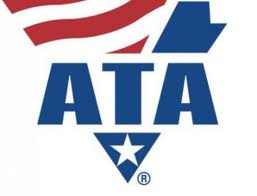 “Bringing Chris onboard as our chief of legislative affairs is an important part of our strategic efforts at ATA to more closely align our policy, regulatory and legislative efforts,” Osiecki said. “Trucking plays a crucial role in the American economy and ATA should play an equally important role on Capitol Hill,” Spear said, “and I welcome the challenge of making that happen.” Spear holds both a Master’s and Bachelor’s degree from the University of Wyoming.